Rompers are the best laid-back summer outfit of all time. There is nothing more freeing because you don't have to be as conscious of how you sit as you would in a dress and most are made of comfortable breezy material that allows you to stay cool on those HOT summer days. This one is obviously a bold floral pattern, from Fairweather and was only $15! They are my favourite thing to wear lounging by the pool or at the beach although the band does leave impressions on your stomach, it is just so easy to slip on and off. I also love to wear them when you know you will have a long day in the sun because you don't get awkward strap tanlines and as I said before you stay cool! 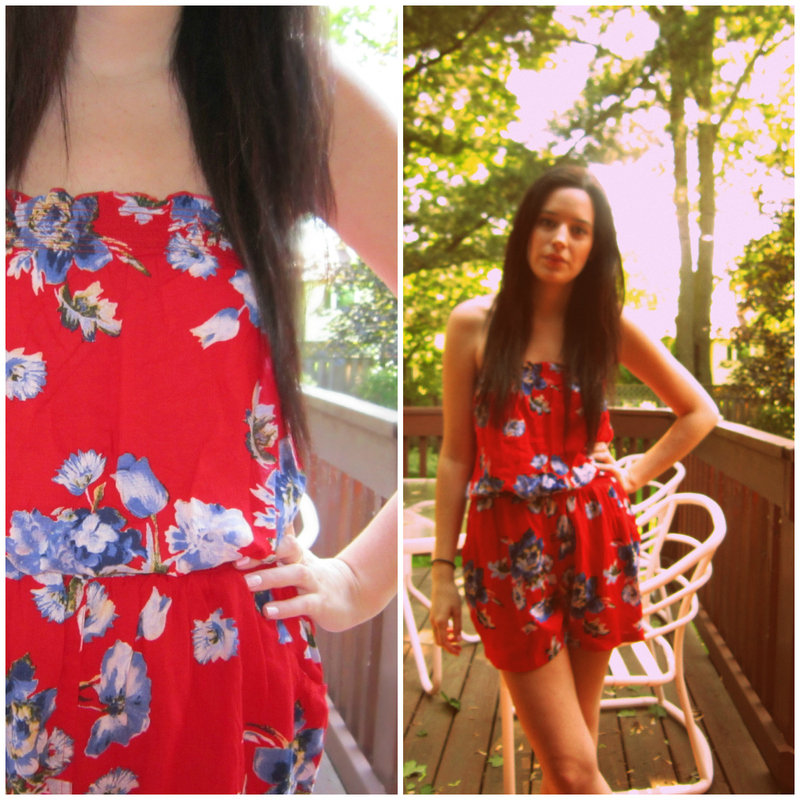 What do you guys think of rompers, are you a fan or not? Where do you get your rompers, what do you accessorize them with? i wanna say congrats for your graduation,this peach nail polish is freaking awesome(got to have it)and this romper looks great on you! i totally didnt see this until now, thank you!